February 10, 2017 February 10, 2017 Dr. R. A. 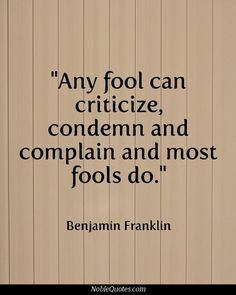 It is so easy to criticize. It’s as if we find pleasure in finding faults. Everything around is examined microscopically. With the intent to condemn. Not only do we complain about the actions of others. But we also crucify the one standing in the mirror. Instead of constantly wasting your energy criticizing. Change your mindset and speech to compliment. See how this approach will turn your world upside down.